Click an episode title and hear... the eighties never sounded so alive. 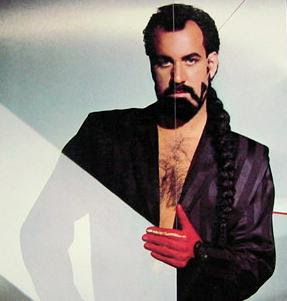 This week we featured the music of Michael Sembello. Remember him? He had that #1 hit "Maniac" from the Flashdance soundtrack. Anyhow, we feature the follow-up hit single, "Automatic Man," and the 1997 album track, "Too Much Bizarre" from his recently reissued albums. Talking 80s Music is recorded every Saturday at noon (Pacific). To participate, visit Talkshoe.com where you can join us in the chat room (more info here.) You can also call into the show at (724) 444-7444 and entering call ID# 11757. We generally take calls at the end of the show.